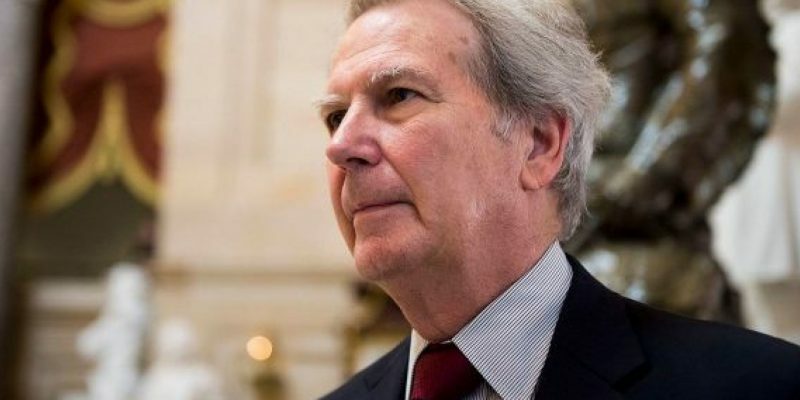 Republican Congressman Walter Jones has represented North Carolina for more than two decades in the US House of Representatives. It became known over the weekend that the thirteen-term representative would be entering hospice care after a broken hip took a turn for the worst. The national guard veteran seemed to be one of the only people in Washington to get better with time. In 1982, Jones was first elected as a Democrat to the North Carolina House where he served until 1992. Rep. Jones switched to the Republican Party in 1994 and ran for South Carolina’s 3rd Congressional district, defeating his Democrat opponent and making Jones the first Republican since reconstruction to represent a large area of eastern South Carolina. Since 1994, Congressman Walter Jones won every re-election with more than 60% of the vote. Mr. Jones staunchly opposed “pork-barrel spending” and maintains a lifetime score of 84.69 from the American Conservative Union. A southern baptist, Jones served as a defender of life, family, faith and freedom. The NRA gives him a 93% rating. A senior member of the House Armed Services Committee, he regarded the national debt as the biggest threat to national security. Rep. Jones is perhaps most well-known for his dedication to the Constitution and support for Congress reclaiming its constitutional war powers. Two years after the initial invasion of Iraq, Jones became one of the war’s strongest critics; arguing that faulty intelligence, the absence of congressional authorization, no immediate threat to the United States and personally attending the funeral of a fallen soldier all led to his change of heart. His change of position was not the usual flip-flopping we see from politicians, it was genuine and heartfelt. Speaking once to a large gathering of young conservatives, the Congressman held back tears as he reflected on the cost of human life in the Iraq War. Congressional staffers once voted Mr. Jones the “kindest member of the house” in a survey conducted by Washingtonian Magazine. Jones is a member of the Liberty Caucus in Congress chaired by Rep. Justin Amash (R-MI). A life of service by a man of principle, for which our nation is eternally grateful.